When? The second Tuesday of every month at 11 a.m.
Who? Anyone with an interest in learning more about their Irish past. All are welcome. What? The John J.McDevitt Irish Genealogy Society of Delaware County was founded in 2011 by John McDevitt. John had done extensive research on his Irish ancestors and wanted to share this with other people of Irish ancestry. When? Check our Facebook page or call855-IRISHPA / 610-789-6355 to find out when the next season is running. Who? Anyone hoping to lose a few pounds. What? 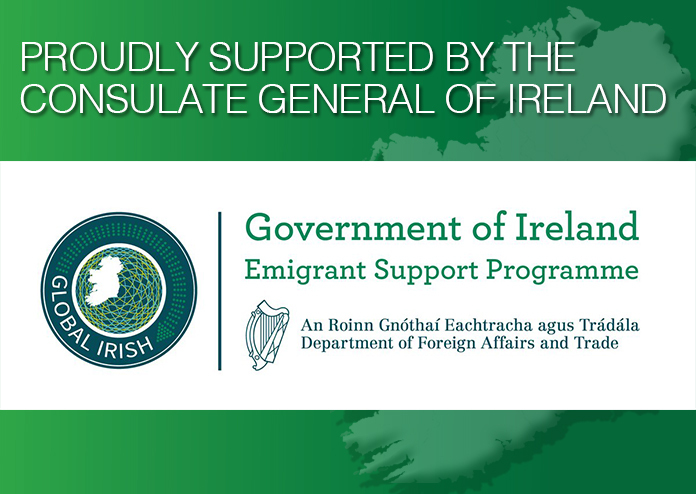 At the Irish Immigration Center we are committed to encouraging our community to keep healthy and strong. Over the past few years we have seen thousands of pounds lost between The Biggest Loser participants. The weigh in is twice a week and runs over a period of eight weeks. There is also a private Facebook group set up amongst the participants to share weight loss, diet and exercise tips. The participant that loses the biggest percentage of their body weight is crowned The Biggest Loser and wins a cash prize. When? Every Monday night at 7 p.m.
Who? Anyone interested in learning some conversational Irish. What? A self-help Irish language learner group meet up to perfect their communication ‘as gaeilge’ Facilitated by Irish Speaker Aengus Lawlor, the group works on their vocabulary and building their conversational Irish. This group is a self- help meeting rather than a formal class. There is no charge involved and all are welcome. What? A group of devoted fans meet to play Ireland’s national card game - 25. It’s got a few complicated rules, but it's addictive once you get the hang of it. Played with the standard 52-card deck, the objective of the game is to win at least three ‘tricks’. A group of between 10- 20 card players meet up to enjoy the game along with a cup of tea. Solace House, Inc. located in New York offers a therapeutic service for men, women and children who find themselves in suicidal crisis or who engage in self-harm, they also offer bereavement services and Family support. The service is completely free of charge. Philadelphia continues to communicate and learn from the model that has been a success in New York. Our ambition is to raise enough money to provide support and training within our own local community in the hope that one day we will also have the services here in Philadelphia. A were one of the first cities to participate in the walk. In 2018 we were one of eleven venues in the U.S. from New York to San Francisco. If you would like any information on how to volunteer or donate, please call the Irish Immigration Centre in Upper Darby, Ph. 855-IRISHPA / 610-789-6355 or email solacesunrisewalk@icphila.org.